Editor’s Note: Hey everyone, something special for you today. Jeremy (@LengthyXemit) is one of the true binder grinders of the world. While other people are running around at a Grand Prix having fun, he’s off sorting 40,000 bulk cards or working with the dealers on site. I’m thrilled to have him sharing his thoughts on recent events with us, and today we have a report on the Grand Prix in Madison that just wrapped up yesterday. My name is Jeremy. For those of you who don’t know, I attend pretty much every Grand Prix to grind Magic cards so that I can pay for college. I supply pretty much all the cards at my LGS: Valhallas Gate. I’ve written GP reviews on Reddit in the past and was invited to post one here. There were quite a few interesting developments at GP Madison that I thought you guys should know about. First off though, let’s start with the mainstay at every GP. Power Nine was the first booth that anyone saw on their way into the convention center. The shop is owned by Dan Bock, a controversial figure in the mtgfinance world if one were to go by the feedback shown on both Reddit and Twitter. However, I had nothing but a positive experience when dealing with them at this GP. They were making offers on any card that approached the booth, something that is interesting for people looking to Ogre five-row boxes of bulk cards by sorting cards into rows of the prices they want to get for each card and having vendors pick through the box. 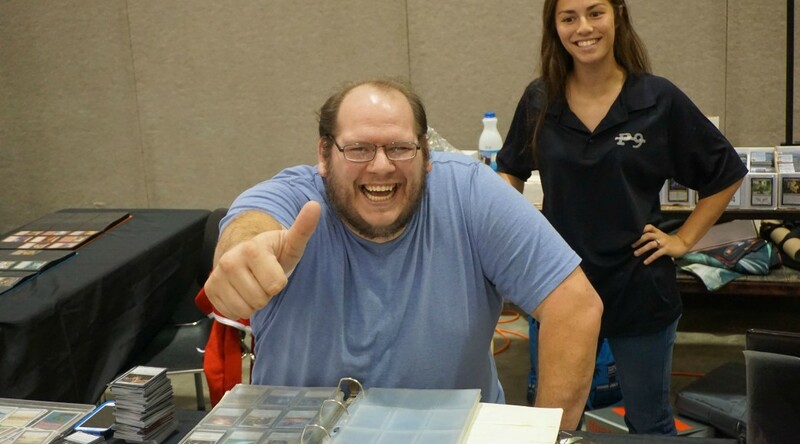 Ogre himself was again working for them this weekend, with a smile on his face and a fat stack of cards on his buy mat. I sold around $400 of cards to Power Nine over the weekend, and was also able to get 15 cents on certain rares that they picked out in my bulk rare box. Their booth always had people selling to them even at the beginning of the rounds, most likely due to the fact that their actual shop was less than a half an hour from the event. CoolStuffInc was the next booth over. I sold a little under $700 of cards to their buyers Mark and Jason. They were both very friendly and bought small things like Emblems that most people don’t realize you can buylist. I mainly sold them stuff that I knew they were paying the highest on from looking at their buylist online. They did not deviate from the buylist given to them at the beginning of the GP and did not change buy prices on anything over the weekend. Channel Fireball had a great buylist sitting next to Chimera. They were offering generous trade amounts in credit for certain cards, something that you could certainly use to your advantage when trading into older format staples. Unlike GP Oklahoma City, they weren’t just offering credit on foils this time around and as a result it seemed to me that their booth was much busier this time. I sold them $200 of casual cards such as Auriok Champions and Field Marshals. The buyers were friendly enough, but it seemed like they had a small amount of high-end inventory compared to Grand Prix in the past. Aether has consistently had the highest buy prices on staples at the past three Grand Prixs I have attended, and this time was no different. They had the highest buy prices on fetch lands at the beginning of the GP, hoping to snag as many as possible from people looking to cash out at 100% profit in under a year. They were also the only vendor to stock the popular Hareruya sleeves, and people were happy to pay $12 for 3 packs of them. 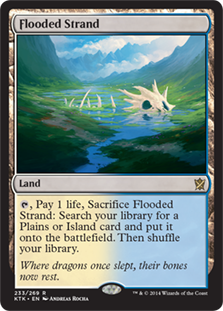 I sold Aether close to $1500 of popular staples such as fetchlands, shocks, and Modern Masters 2015 staples. They were also paying $50 on the popular Tasipurr playmats . Their buylist Friday for Jace, Vryn Prodigy was $60, which was high enough that I would have sold them all of my copies if I had any remaining. I think they got their fill of Jaces, as their buy price slowly dipped down each day. Ojutai also spiked throughout the tournament from SCG results, and their buylist went from 13 to 15, then 16, then 20 and then finally going as high as 22. They were also selling Knight of the Reliquary for $9 on Friday, and then put them on their buylist for as high as $10 on Saturday. I also bought quite a few staples from them that were priced around TCGLow, such as Beta basics , Stony Silences and Tasigurs. I picked up Russian Khans fetch lands that only commanded a 30% premium compared to their English counterparts which did not reflect current Ebay and TCG prices. I feel that these are a good investment, as there is very little Russian Khans compared to English out there and there are no Russian Onslaught fetchlands. Savage TCG was the other new vendor at this Grand Prix. Their prices were mediocre and were not competitive enough on staples for me to sell them to them. They probably had the lowest traffic of all of the vendors in my opinion, but the people that did sit down with them were selling them hundreds of cards at a time, perhaps taking advantage of certain buylist numbers that I wasn’t aware of. Pink Bunny was also there. Normally, I tend to stay away from them after multiple bad experiences both online and in person. At this GP, they were in the top three average buylist prices out of all the vendors for everything. They seemed quite happy with the amount of people standing in line waiting to sell cards to them. I didn’t sell them anything, but did pick up two copies of Lion’s Eye Diamond for $65 that I had wanted for my personal storm deck. Almost every single vendor wanted as many fetches as they could grab their hands on at the GP. Aether started out with the highest buylist on polluted Delta at $20. On Saturday, Pink Bunny started offering $21 on Deltas in order to get copies in. Aether responded by matching their buy price of $21 a couple of hours later. ChannelFireball didn’t pay any higher than $18 all weekend on Deltas, and CoolStuff didn’t deviate from $17. The other vendors offers were lower than this according to the buylists and numbers that I asked each booth about. A well known pro set the tables abuzz Friday night. Tomoharo Saito decided to buy out every copy of three cards at the GP from each vendor. He bought out Ojutai’s Command, Hangarback Walker, and Oblivion Sower. Ojutai’s Command had been seeing play in the “Dark Jeskai” Standard deck. The night before Dark Jeskai would run the tables in the SCG Standard Open, Saito had already bought out the entire hall of this card. Hangarback Walker has not dipped too much after its reprint, and he may have bought these to restock his store in Japan. The card that could have the most interesting financial performance is Oblivion Sower. Saito bought out all copies under $7 (over 200 copies), which means that he might have a sweet tech that he is saving for next week’s pro tour. The fact that he was paying higher than TCG Mid at the time raises quite a few eyeballs. I personally traded for the few remaining copies on the floor Saturday morning from people that hadn’t heard the news yet. Overall, GP Madison was a blast. Vendors are clamoring for fetch lands, and a well-known player might see a financial windfall if his speculating pays off at the Pro Tour. I was able to play Randy Buehler in Old School Magic, which was definitely a cool experience and shows that the format is starting to grab even the most well-known players. While I was able to grab the first two games, Buehler absolutely stomped me the next seven games. I hope you guys can learn something from my opinions and information from GP Madison. If you had $100 to start your MTGFinance portfolio what would you buy? “Bulk C/U at 3 per K” – Floor Grinder.